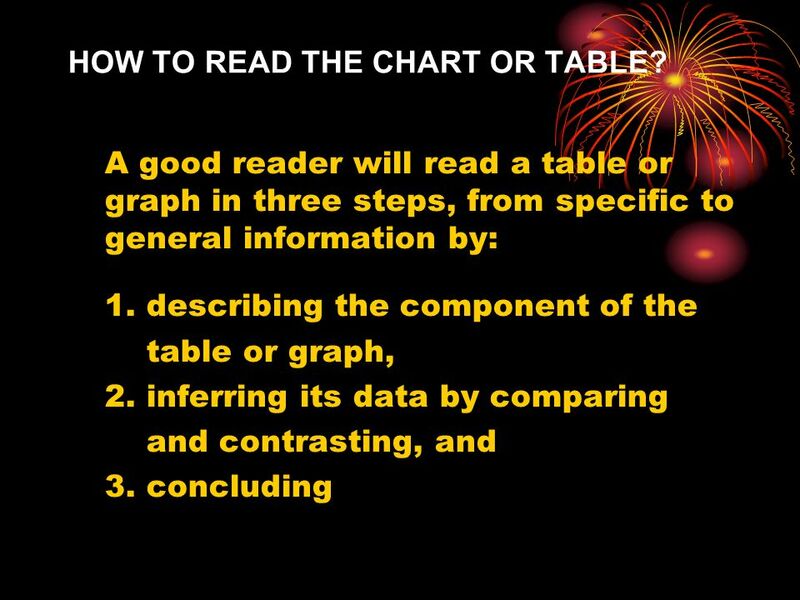 UNIT IX READING TABLES AND GRAPHS (CHARTS) Objectives: to understand kinds of illustrated information to familiarize with tables, graphs or charts to read. 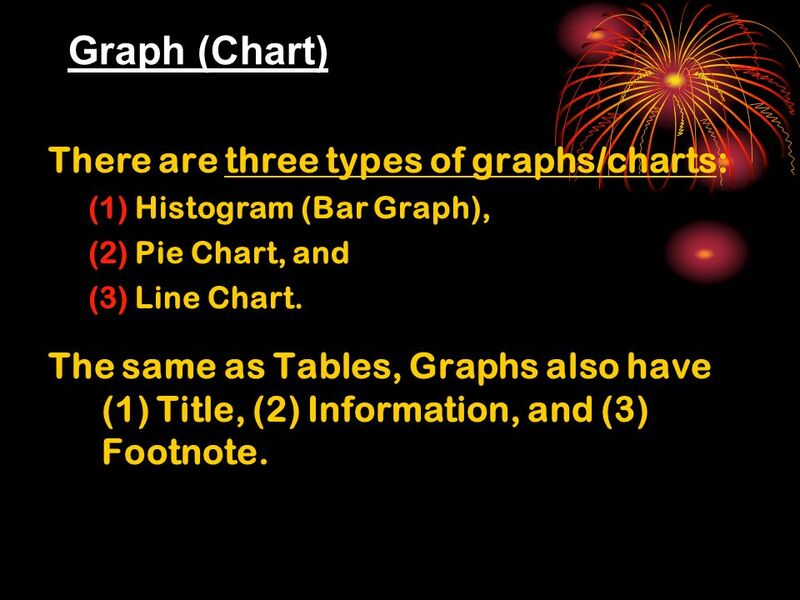 3 Graph (Chart) There are three types of graphs/charts: (1)Histogram (Bar Graph), (2)Pie Chart, and (3)Line Chart. The same as Tables, Graphs also have (1) Title, (2) Information, and (3) Footnote. 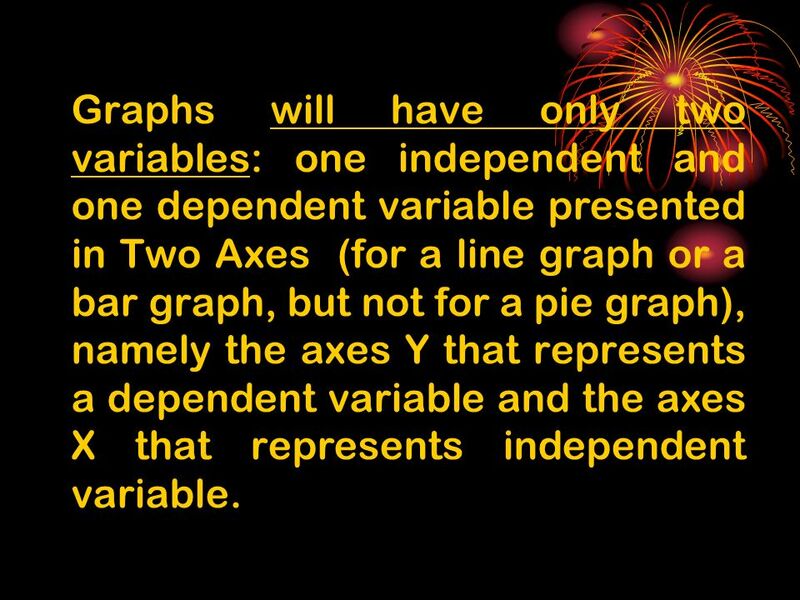 4 Graphs will have only two variables: one independent and one dependent variable presented in Two Axes (for a line graph or a bar graph, but not for a pie graph), namely the axes Y that represents a dependent variable and the axes X that represents independent variable. 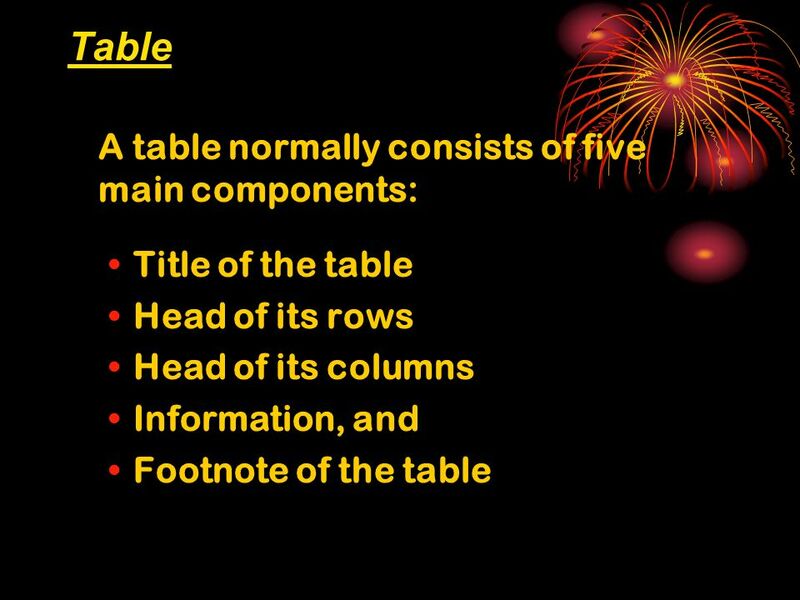 6 Step I: Describing the component of the table or graph Here, at first we read (1) the title of the table or graph, (2) the source, and (3) the variables contained in the columns and rows, or the variables in Axis Y and Axis X. Next, we read the content of the information. In reading the content, it is not necessary for you to read all of the information. You can read the information that you might think the most important; even though, to some extent, you have to do that sometimes. 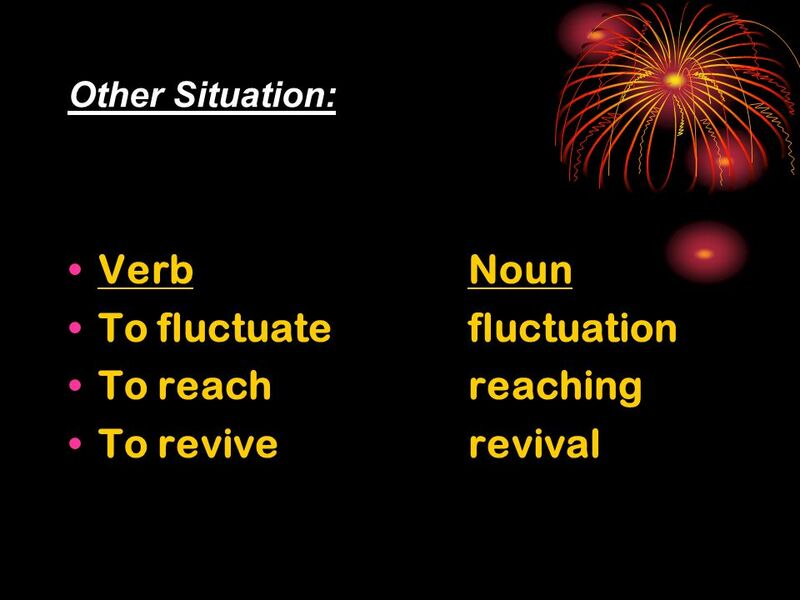 11 Amplifying with Adverbs: fractionally higher, slightly lower, somewhat lower, considerably higher, etc. 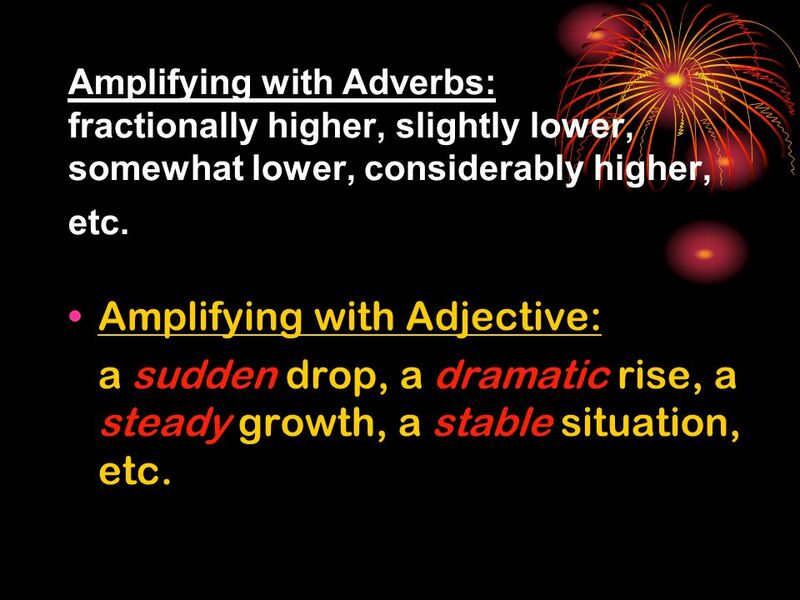 Amplifying with Adjective: a sudden drop, a dramatic rise, a steady growth, a stable situation, etc. 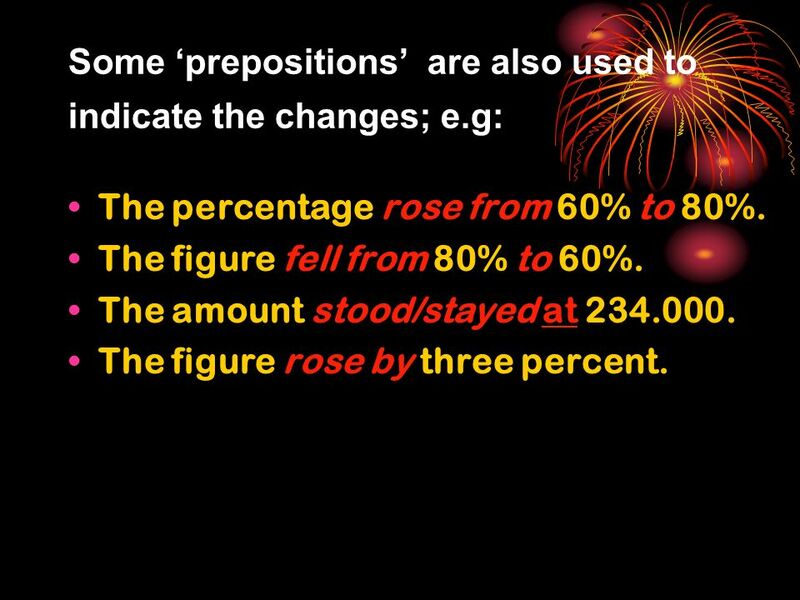 12 Some prepositions are also used to indicate the changes; e.g: The percentage rose from 60% to 80%. The figure fell from 80% to 60%. The amount stood/stayed at 234.000. The figure rose by three percent. 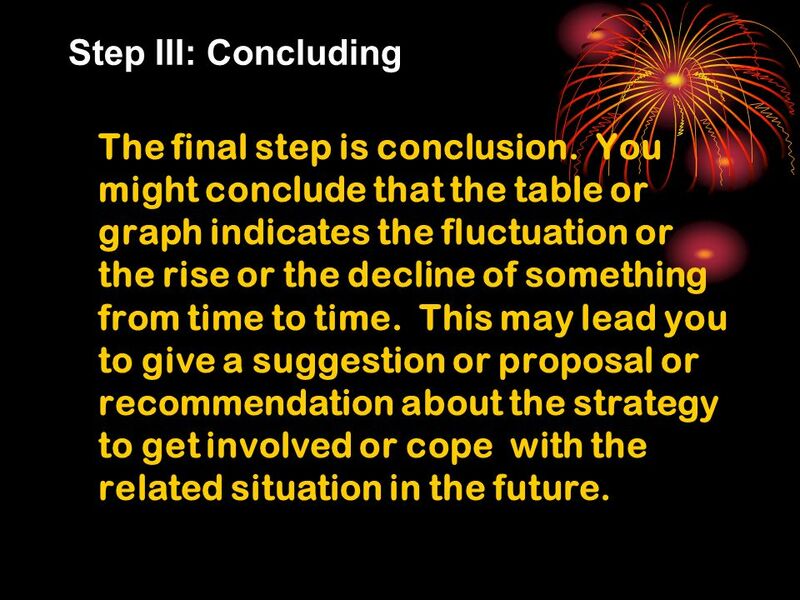 13 Step III: Concluding The final step is conclusion. You might conclude that the table or graph indicates the fluctuation or the rise or the decline of something from time to time. This may lead you to give a suggestion or proposal or recommendation about the strategy to get involved or cope with the related situation in the future. 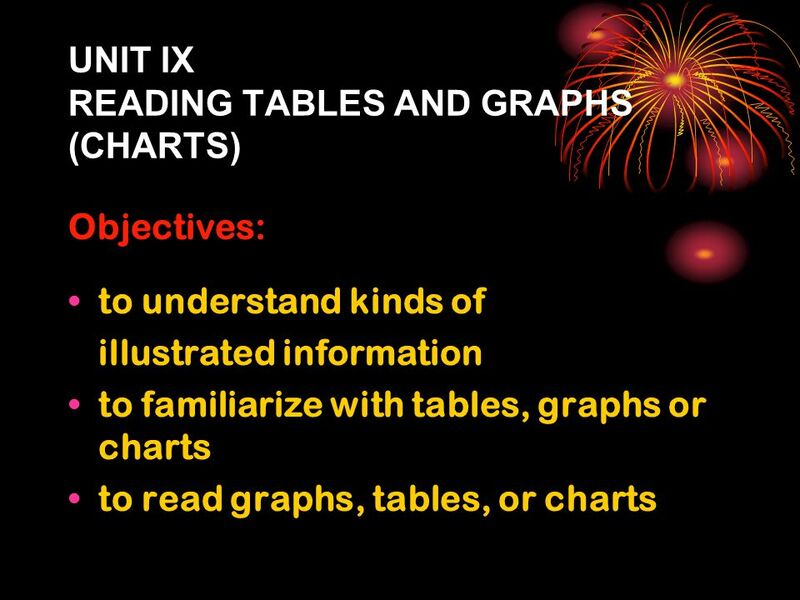 Download ppt "UNIT IX READING TABLES AND GRAPHS (CHARTS) Objectives: to understand kinds of illustrated information to familiarize with tables, graphs or charts to read." TIPS TO SUCCEED IN THE EPT: WRITING A. T. M. Monawer INTERNATIONAL ISLAMIC UNIVERSITY MALAYSI SLEU WORKSHOP 16 December 2012 A. T. M. Monawer INTERNATIONAL. 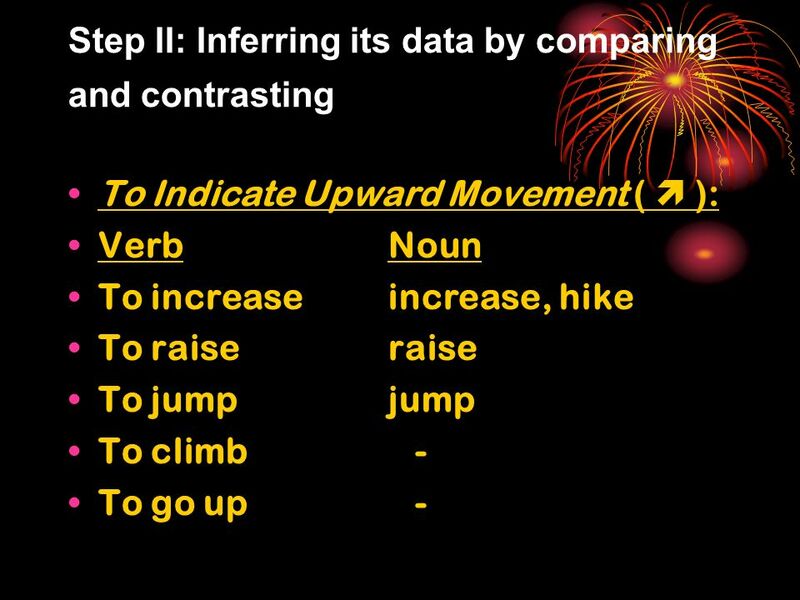 Introduction to Stats Honors Analysis. Data Analysis Individuals: Objects described by a set of data. (Ex: People, animals, things) Variable: Any characteristic. 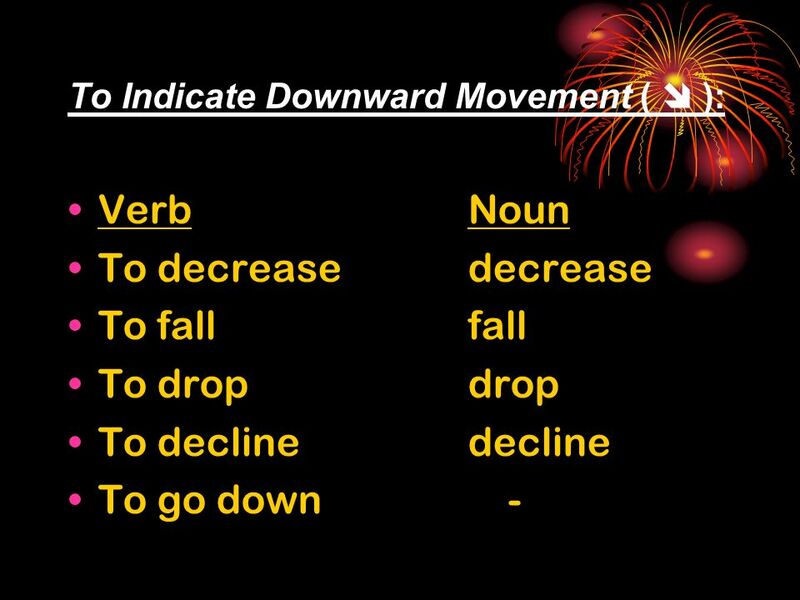 ADJECTIVES or ADVERBS used in describing trends or movements A D + V E R B S DEGREE OF CHANGE The oil prices rose sharply. SPEED OF CHANGE In November. Environment Lisa. Purpose Learn how to describe a line graph and show the changes over time. This unit you will also learn how to write a paragraph where. Give some opinions of making an effective school? Warm-up. 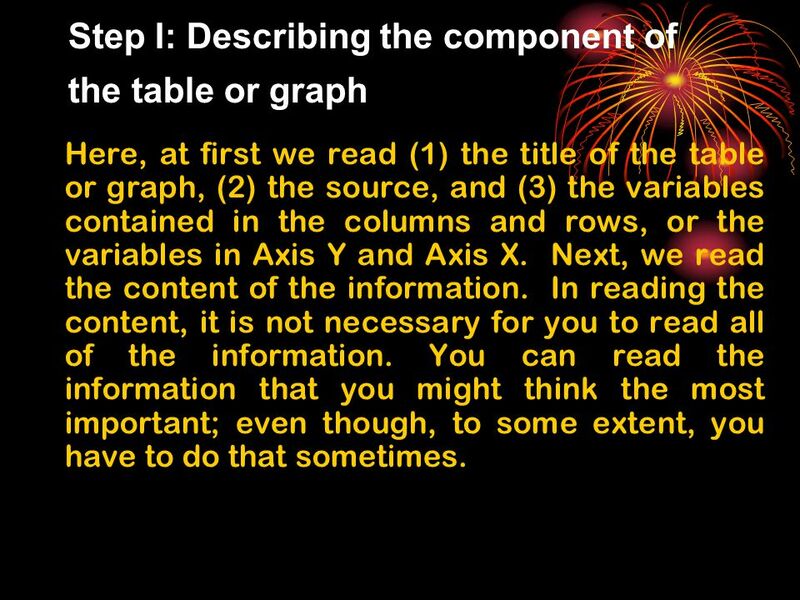 Describing Graphs, Tables and Charts. What is a chart? 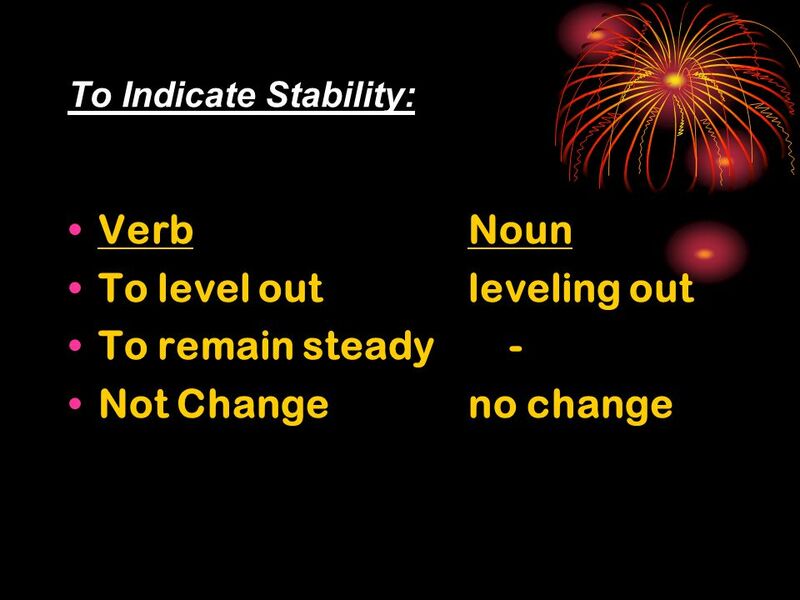  A chart is a diagram that makes information easier to understand by showing how two or more sets. The business cycle. Read p and answer the questions 1. What fluctuates during a business cycle? 2. What tends to rise during an upturn? 3. What. Describing Graphs, Tables and Charts. What is a chart? A chart is a diagram that makes information easier to understand by showing how two or more sets. Reporting Agricultural Research. COMMOM CORE/NEXT GENERATION SCIENCE STANDERD ADDRESSED CCSS.ELA-Literacy.RH Determine the meaning of words and. 1 Chapter Four understand the use and the importance of graphical presentation; recognise the features of varies graphical presentations; and organise.